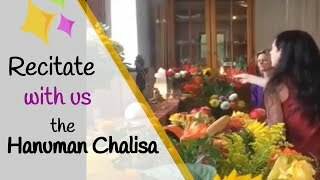 To recite the Hanuman Chalisa collectively, is like a celebration, like a very special and joyful meditation that brings the highest spiritual energy into our life. Accompanied by the sounds of guitar, harmonium and drums, and together with singing, a world of sound emerges that creates a very special atmosphere. Sometimes mellow, almost monotonous, at other times energetic, thrilling, full of joy and vitality. All reasoning ceases and we feel increasingly connected with the extraordinary characteristics of Hanuman such as courage and unconditional surrender. Experience the potential of this powerful meditation for your own life and together with your family. We begin with an evening seminar which starts at 19:00 with an introduction into Hanuman’s spiritual knowledge. Bharati received tremendous knowledge and energy from many Indian yogis that she will pass on to all participants during both evenings.